Posted April 15, 2016 by Steven Roberts & filed under Ostrea lurida. 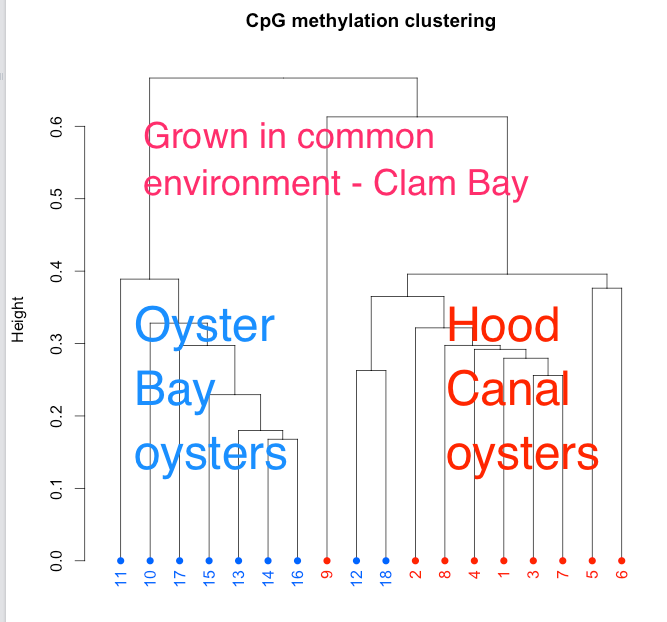 In a different experiment compared to when Fidalgo siblings were outplanted at two sites, we also examined Hood Canal (HC) and Oyster Bay (SS/South Sound) grown at Clam Bay (Manchester). Descriptor. These were the oysters Katherine Silliman spawned in the summer of 2015 and represent seed Jake outplanted years ago. This was run against the BGI scaffolds >10k. The full notebook can be found at https://github.com/sr320/nb-2016/blob/master/O_lurida/BSMAP-06-BGIv001.ipynb.